Most of what is on this site can be found using the Menu bar at the top of the page. I will be adding content on the fly whenever I get something new. 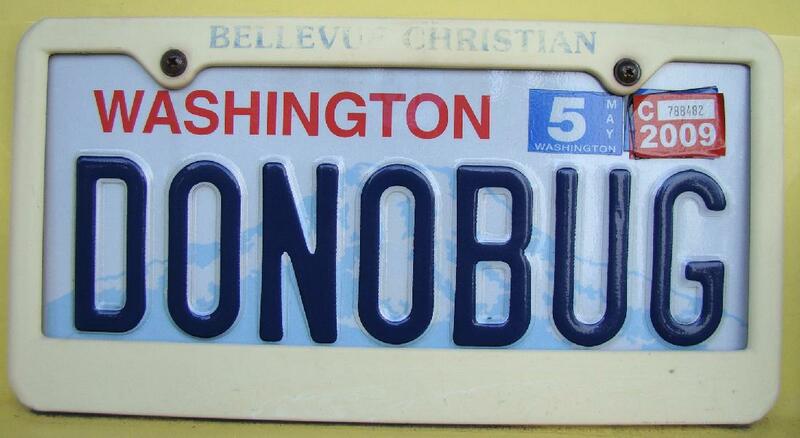 Donobug is the name of my car. If you want to see more details, you can go to my donobug page using the Donobug Menu link above. I have loaded up some of the best pictures (in my opinion) that I took each year since then or on special vacation trips. Most of my pictures are available on using the Mikey's Pictures on the Menu bar above. There are thumbnail pages which lead to full-sized images. Please don't publish any othese pictures. I don't mind you seeing them but using them to make money with would be just wrong for you to do. The link below reflects the fact that on my previous web site, I was only allowed 5 MegaBytes of disk space. Now the limit is 1000 MegaBytes (1 Gigabyte).